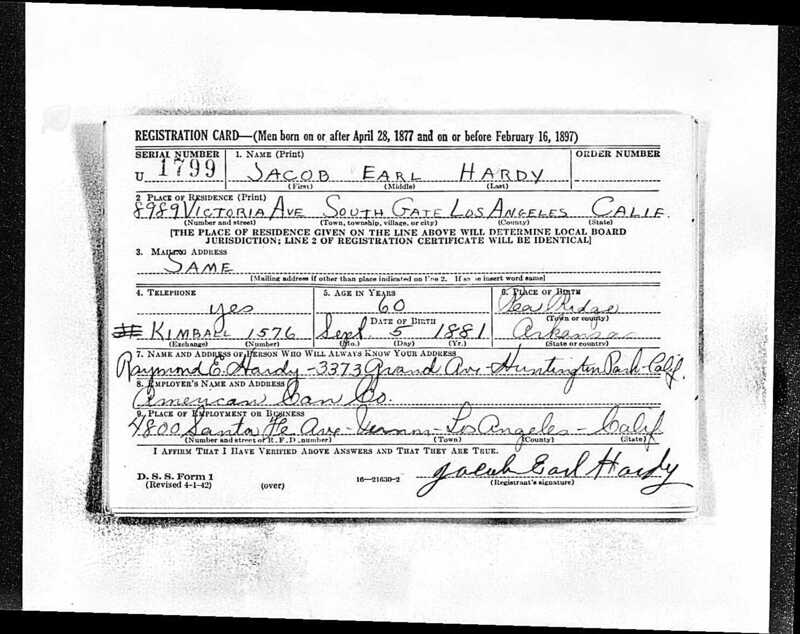 Jacob was born on 5 SEP 1881 in Benton County, Arkansas, the son of Jacob Mitchell Hardy and Artimissa Eliza Hammack. He died on 31 OCT 1962 in Marion County, Oregon. His wife was Mary Evalyn Whitefield, who he married on 19 OCT 1904 in Benton County, Arkansas. They had no known children.